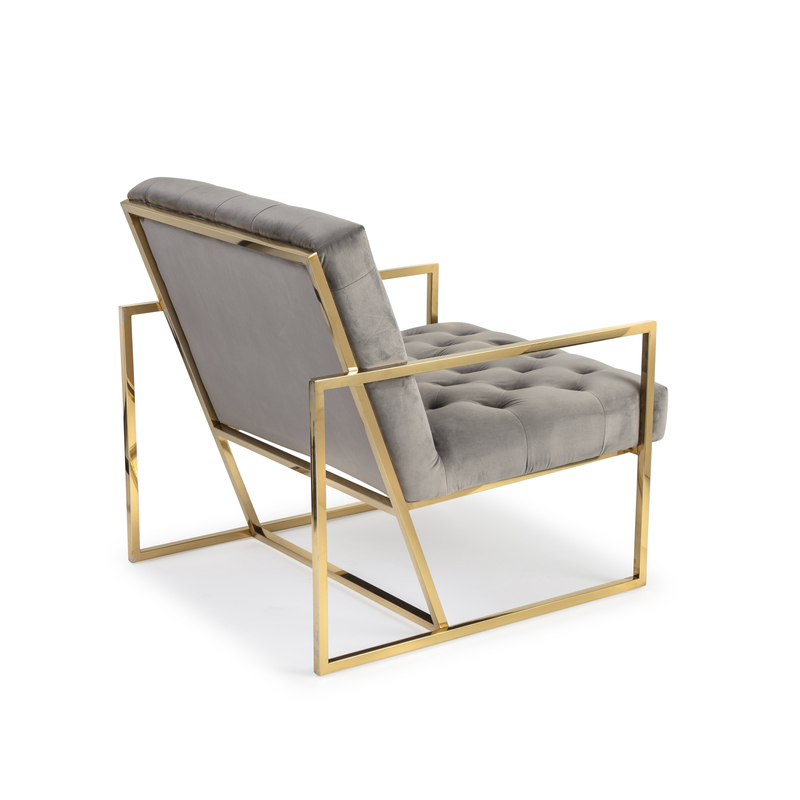 Welcome leisure time with the artfully designed Bequest Accent Lounge Chair. 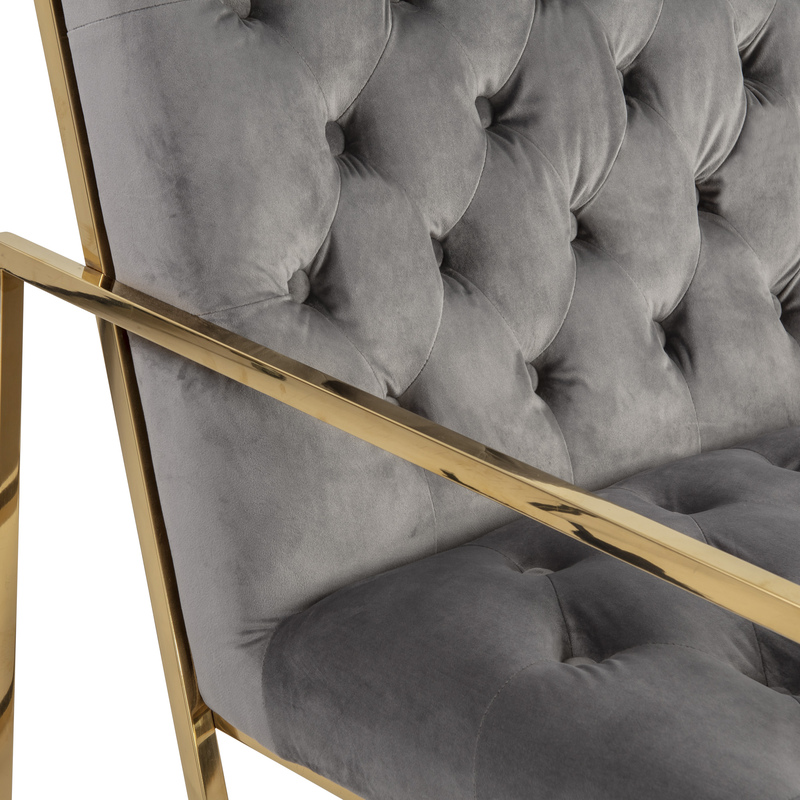 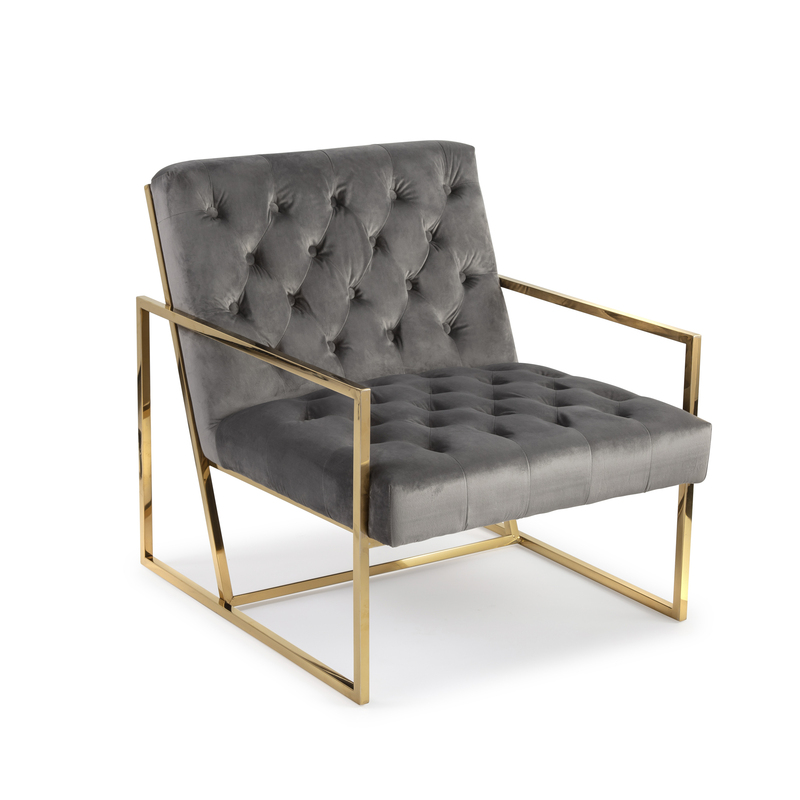 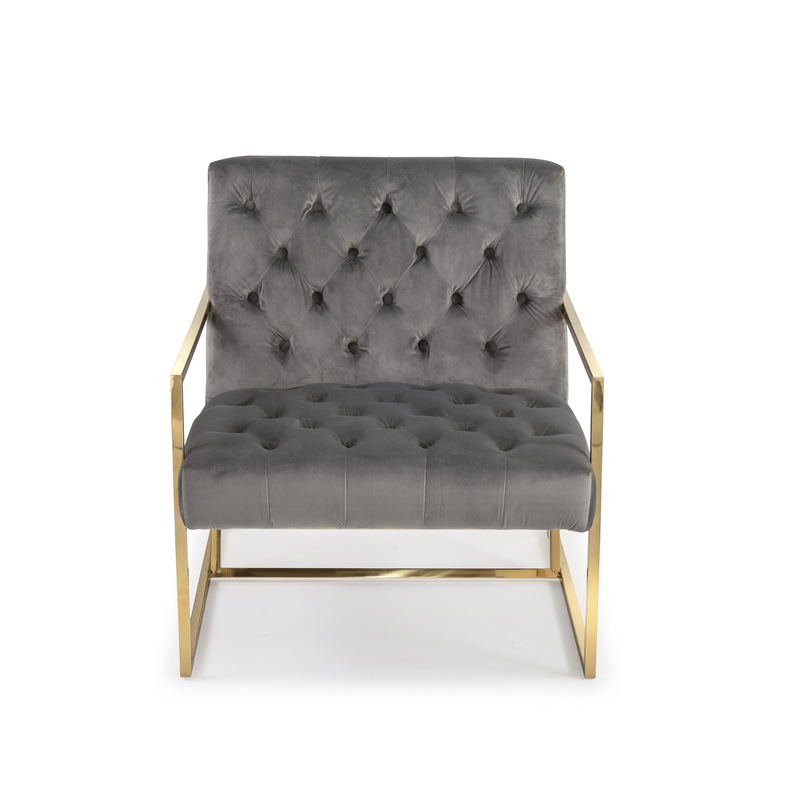 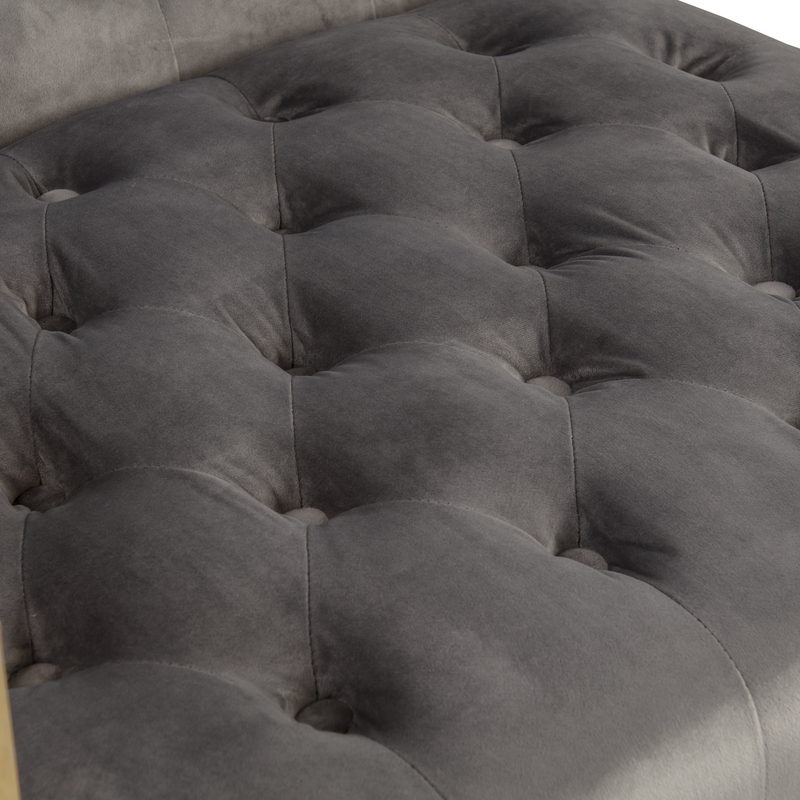 Boasting a striking gold stainless steel metal frame, upholstered in grey brushed velvet fabric with deep button tufting with plush dense foam padding, Bequest elevates home and apartment decor with its glam aesthetic, sleek profile, cozy comfort, and ergonomic support. 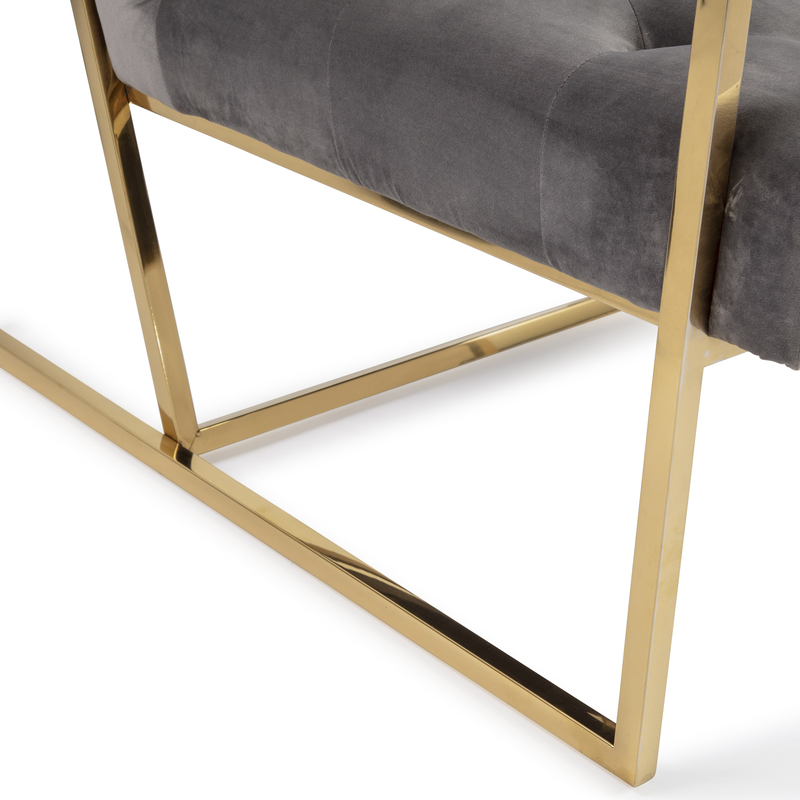 This Chair Comes Fully Assembled.